The 29.5’’ Garden Pot by Hanamint is one garden pot in a line of three of varying sizes. The 29.5’’ version is the largest of the garden pots, and is meant to provide a safe haven for outdoor plants. Hanamint is expanding its outdoor furniture offering every day, and Family Leisure is proud to keep up with the latest and greatest. The newest additions are the Garden Pot patio accessories that feature an artistic detailing on the pot. Each size features the same detailing and the same Golden Bronze finish, so that you may create a synchronistic arrangement of different sized pots and flowers. 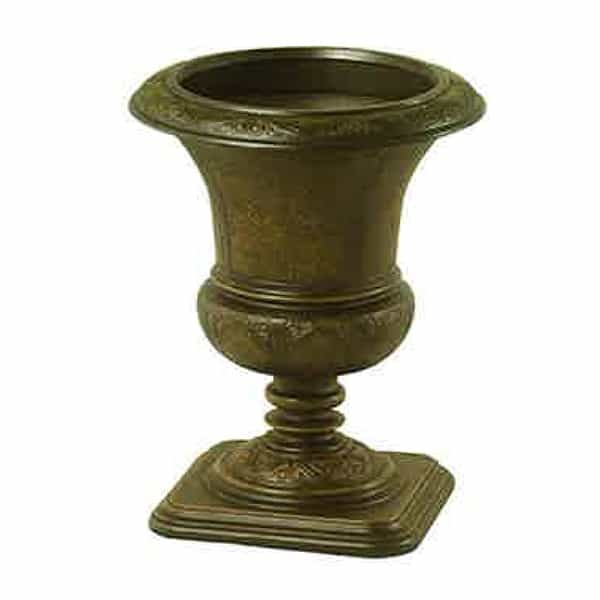 The Hanamint Garden Pot collection is made of cast aluminum, like their famously durable outdoor furniture, and the 29.5’’ Garden Pot weighs in at 43 pounds. If you’re looking for a safe and attractive home for your beloved outdoor plants, consider finding the Hanamint Garden Pot size that works for you.